Approximately 40,000 people belonging to the Ogiek hunter-gatherer community live in the Mau forest in Kenya, which is rapidly being lost to logging, tea plantations and illegal settlements. Despite the Ogiek being guardians of these precious landscapes, the Kenyan government began to forcefully evict and relocate them with the stated aim of conserving the remaining forests. To the Ogiek, the forest is their single most important resource and a means of livelihood. The forest is a source of food, shelter and medicine, and where most of their rituals are practiced. Traditionally hunter-gatherers, the Ogiek’s main activity is apiculture, and honey their flagship product. “It is painful to see women and children suffer during violent evictions, some of which happened at night,” says Mrs Sara, a 75-year-old Ogiek elder who has witnessed community members being beaten up and killed as they tried to stand up for their right to stay on their land. In 2012, the African Commission on Human and Peoples Rights referred the Ogiek case to the African Court on Human and Peoples Rights (ACHPR) – and on 26 May 2017, the court delivered a landmark judgment, finding that the Kenyan Government had violated the Ogiek’s right to property, non-discrimination, culture, religion, development and natural resources. But the ruling has not yet been implemented, despite the formation of two government task forces in which the Ogiek are not included. 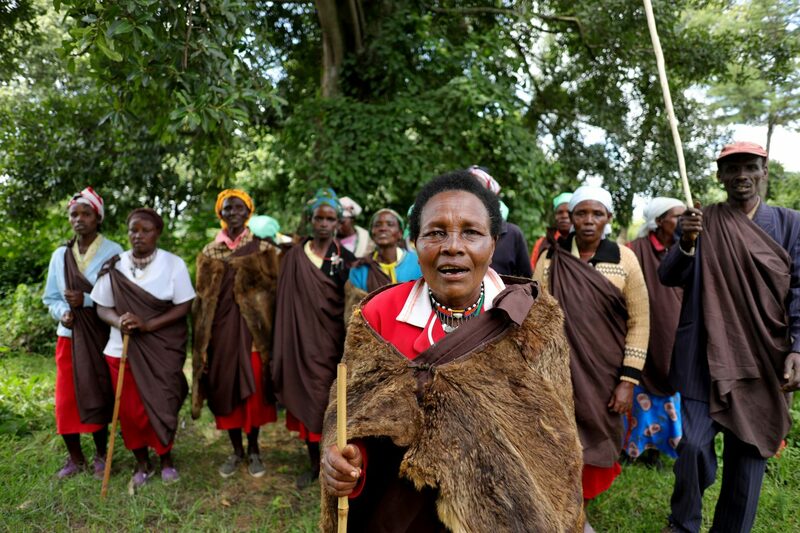 The Ogiek case is important for many similar cases across Africa, where governments urgently need to support justice for Indigenous Peoples and local communities through the establishment of mechanisms to restore land and remedy land rights violations. The Government of Kenya must act now to restore the Ogiek’s land and compensate them for the losses they incurred over many years. The national parliament should approve regulations under the 2016 Community Land Act to enable all communities, including the Ogiek, to formally apply for ownership of their lands. Land Rights Now participant: Ogiek Peoples’ Development Program.